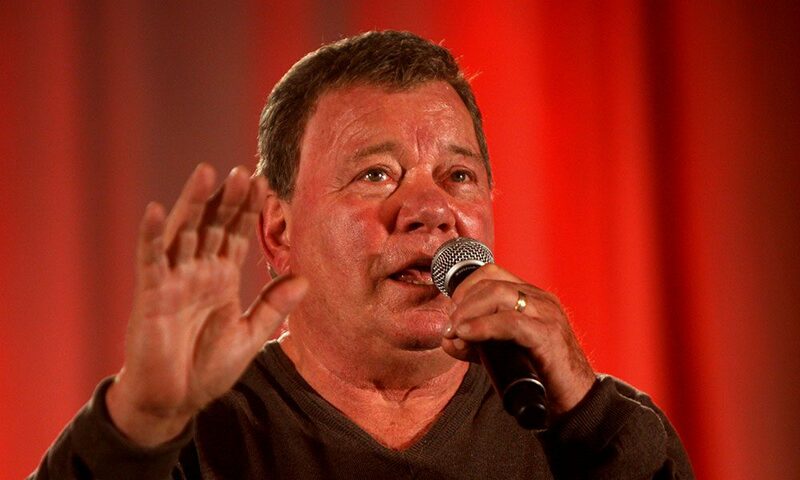 Following screening of 'Wrath of Khan' last night, actor gave live career-spanning interview. Three years ago was the first time I experienced audience interaction during a movie. I was catching an early screening of Star Wars: The Force Awakens at a Brobdingnagian, old theater in Midtown Manhattan with some friends, and the first time Han Solo appeared onscreen, the crowd went absolutely nuts. I was more than a little annoyed after the first few outbursts, because I’d paid good money for entertainment—and silence. But last night, all the shouts of joy were sort of refreshing. At 7:30pm sharp at Proctors, the lights dimmed and the opening credits started rolling for 1982’s Star Trek II: The Wrath of Khan, the second, much-better-loved installment of the TV show’s initial push on the big screen. (The first film, 1979’s Star Trek: The Motion Picture, had been an abject box office failure, threatening the future of the futuristic movie series.) From the get-go, there was raucous audience participation, with a smattering of standing ovations, hoots, hollers and applause. Pretty regularly during the screening, audience members reacted, vocally, to action sequences, laughed out loud at various instances of comic relief, and the folks behind me were even whispering one-liners before they even made it out of their actors’ lips. The din, of course, grew loudest when William Shatner made his first appearance onscreen (and thereafter)—because, well, the audience knew that somewhere backstage at Proctors, the actual guy who famously bellowed “KHANNNNN!” would likely be listening. Shatner talked at length about the failed first attempt at bringing Star Trek to the big screen, saying, bluntly, that the movie “was not good.” But of course, when he started discussing the making of Wrath, he began to get excited (interestingly, the Canadian actor pronounced the titular “Wrath” as “Roth”). Of co-star Ricardo Montalban, who played the title villain, Shatner joked that “he was juicy and I was Jewish.” He revealed that he’d first caught Montalban as a dancer in a Broadway show, and in first meeting him on the set of the original ’60s Star Trek show, noticed that Montalban had, by the point, acquired a visible limp. Montalban had apparently fallen off of a horse, and the injury had gotten progressively worse. By the time Montalban was acting in Wrath, he was wheelchair-bound—but had worked his famous upper-body into tip-top shape, providing those signature pecs. Upstate New York also played into Shatner’s talk. Apparently, the actor and seven friends had once set out on a canoeing trip that brought them first from Montreal, Canada, to Lake Champlain, then to Lake George. According to Shatner, the entire city of Schenectady caught wind of the actor’s trip and stood out to watch him row by. And row by he did—not stopping for photo ops with the Schenectadian faithful. The talk ran late, getting out around 10:30pm, but Shatner was a good sport, answering a number of pre-prepared audience questions, as well as all of Biancolli’s, and dealt with more than a few outbursts from overzealous fans in the audience (at one point he looked at a person and said, “Me talk, you listen!”). Overall, the series was a major success for Capital Region pop culture (and Star Trek) fans. Bravo to Proctors for setting it up. It made for a good segue, too, to this weekend’s calendar of events, as both the Empire State Comic Con and Saratoga Comic Con will be battling for the attention of Trekkies, comic book readers and the cosplayers throughout the region. I will readily admit—way down here, of course—that last night was the first time I’d seen Wrath all the way through. And while it dragged at times, I have to admit that I really enjoyed it. But having its main character discuss his role immediately following the fact? Simply said: priceless.